The mission of Saving Our Sons is to professionally distribute research based information on intact care, circumcision, and restoration, and to empower parents along the way. Donations you make to this organization are not tax-deductible. The organization is not listed by the IRS as having tax-exempt status. Any financial information shown below has been published by the state or reported directly to us by the organization. 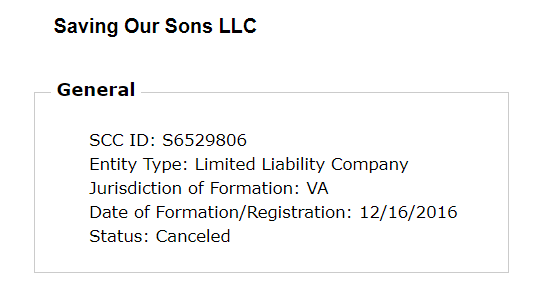 Saving Our Sons did not respond to our survey request. •et; Peaceful Parenting, The INTACT Network, and Saving Our Sons are separate limited-liability corporations, but are all run by Danelle Frisbie.